Nothing close by? Work out at home with Les Mills On Demand. Slow-cooked pulled pork is the type of food meat-lovers dream of. And now, thanks to this creative vegetarian option, those on a planet-based diet can also get in on the action. This slow cooked pulled “pork” recipe uses jack fruit as a delicious meat alternative, producing around 2 lbs of “pork”. 1/4-1/2 tsp red pepper flakes – these are optional, and should only be used if you like it extra spicy! Coconut oil pan spray – this is optional, you can also use plain coconut oil to grease crock pot. If you have the time the night before, combine jack fruit and the toasted Cajun seasoning, black pepper, red pepper flakes (if using), smoked sea salt, and coconut sugar in a re-sealable plastic bag. Refrigerate overnight. Spray or grease a slow cooker with coconut oil or spray. Add garlic cloves, and jack fruit tossed with spices, sugar, and salt. Pour beer over top and stir to evenly coat. Turn slow cooker on high for 4 hours (or low for 8 hours). After cooking, use salad tongs to break up the jack fruit to give it that “pulled pork” consistency, and adjust seasoning and salt as you feel necessary. Once it is pulled apart, it will start to soak up most of the beer and become the consistency just right for a juicy “pulled pork sandwich”. Use the pulled “pork” on sandwiches as is, or topped with your favorite BBQ sauce. Making your own BBQ sauce, using molasses and honey or coconut sugar is very easy and often healthier than store bought BBQ sauce (which usually contains high fructose corn syrup and refined sugar). Top with a little coleslaw or shredded cabbage and sliced red onion for a nice texture contrast. 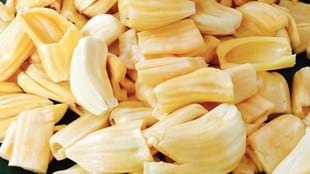 While jack fruit has a texture very similar to meat, it does not have a similar amount of protein. In order to have a balanced meal, I usually try to pair these sandwiches with some homemade baked beans, a bean and corn salad, a quinoa salad, or really anything with a little extra protein. Even green beans would make a good simple side to add to this delicious sandwich. The bouillon cubes typically contain a fair amount of salt, as do many Cajun seasonings. Also, the canned jack fruit is usually in a salt brine of some kind. So, check your labels before you add any extra salt. You may not need any at all. Find out how much HIIT training you should really be doing. What’s best for you, and when do you need it most? It’s now recognized a global health threat – so what should you be doing? 12 interesting facts about this international fitness professional. Why the declining bee population is cause for serious concern.